(Oregon Coast) – Much is new and astir on the Oregon coast, with Free Camping Day this weekend, a brewpub in Cannon Beach and summer hours at regional attractions all around. Look for Free Camping Day on the Oregon coast – and the rest of the state – at Oregon State Park campgrounds on June 4. Camping is free the night of June 4 in traditional sites - full hookup (sewer, electricity and water), electrical hookup (electricity and water), and tent sites. Parking is free both June 4 and June 5 at the 26 parks that charge a day-use parking fee. On the coast, these include Fort Stevens State Park near Astoria, Cape Lookout State Park near Oceanside and Beverly Beach at Newport, among many others. Parks throughout the state will host activities including guided hikes that day, along with open houses, tours, special barbecues and guest appearances by J.R. Beaver, Oregon State Parks mascot. Saturday, June 4 is also National Trails Day. Campsite reservations may be made by calling 800-452-5687 before 5 p.m. June 3. 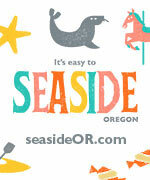 Or, reserve online at www.oregonstateparks.org. While the campsite rental is free, an $8 nonrefundable reservation fee still applies. Of the 52 state park campgrounds, 42 take reservations. Summer hours start Tuesday, May 31 at the Visitor Center at OSU’s Hatfield Marine Science Center in Newport. Seaside Aquarium begins summer hours on June 18. Those are 9 a.m. to 7 p.m. everyday (with the exception of August 27, when it will be closed all day). New at the aquarium: the facility just turned 79 years old last week. Casey, their youngest seal, just had his second birthday as well. On the Prom in Seaside, Oregon. 503-738-6211. There are slightly expanded summer hours at the Cannon Beach History Museum. They are still open Wednesday through Monday (closed on Tuesdays), but now open from 11 a.m to 5 p.m. 1387 South Spruce Street. Cannon Beach, Oregon. 503.436.9301. The two history museums in Newport are now featuring summer hours. Both the Burrows House and the Maritime Center are open Thursday through Sunday, 11 a.m. to 4 p.m. Burrows House. 545 SW 9th Street, Newport, Oregon. Maritime Center. 333 SE Bay Blvd, Newport, Oregon. Admission to the Burrows House is by donation. Admission to the Pacific Maritime Heritage Center is $5 for adults, kids under 12 get in free. Members receive tickets for free admission. 541-265-7509. The new family-friendly brewpub sports an expansive outdoor patio, fire pits, and beach-y appeal perfect for donning your shades and relaxing. Inside there's seating for 170 and more than 40 guests can sit outside and soak up the summer sun while enjoying Pelican beer and pub fare.